How Non-Profits Can Benefit by Adopting a Self hosted Cloud Solution? We can debate if local weather forecast accurately predicts cloudy days ahead or not, but we can’t debate the global technological forecast that favors ‘cloudy’ future, or in less cryptic terms, a cloud-powered future. While this relatively new technology has already made its mark on the government and enterprise sector, even non-profits have started warming up to the potential of the cloud in addressing their scalability, flexibility and cost efficiency needs. 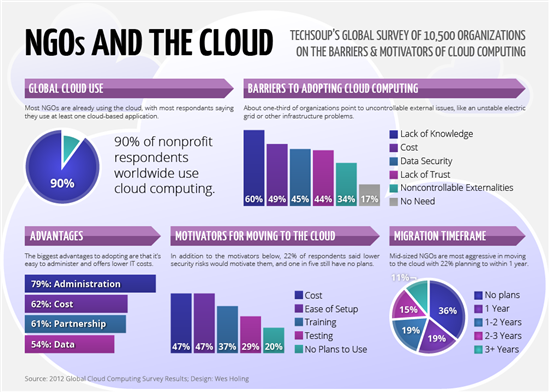 According to the a recent survey conducted by TechSoup Global on cloud adoption among NPOs, over 90% of respondents claimed to be using some kind of cloud-based software solution, and 53% report plans to move a “significant portion” of their IT to the cloud within three years. For non-profit organizations (NPOs), the mission takes precedence over all other facets of the organization. Therefore, they have to save every dollar and find efficiency to support their mission. Spending on high tech is not a luxury they can afford since it eats away the precious budget allocated to achieve their goals. However, the core purpose of all cloud services and tools is to cut down on resources and improve efficiency, which means that it is a natural ally for non-profit organizations. Communication and documentation access are the two primary challenges faced by most field-based non-profits. In an effort to bridge the information gap between their U.S. headquarters and operational base in Sierra Leone, global health non-profit Wellbody Alliance, leveraged cloud solutions to help keep its staff and community well-connected and well-supplied. Instead of wiling away precious time working with e-mail attachments, documents were instantly uploaded to their cloud account and helped streamline their communication infrastructure. Even though the above example would qualify as a win for cloud services in the eyes of many NPOs, the truth is there a lot more variables involved in finding the right solution that live up to the modern requirements for a robust, secure, and intuitive framework for information storage and dissemination. Hence, opting for a self hosted cloud solution may be the game-changer NPOs have been waiting for. An efficient self hosted cloud solution provides greater control over data, security and compliance, along with a massive cut down on annual capital resources spent on the maintenance and upgrade of that technology. In recent years, the world of NPOs has been left in the cold facing a public trust crisis in the aftermath of several shady organizations being unmasked for their unethical practices, for example – the whole Kony 2012 fiasco. 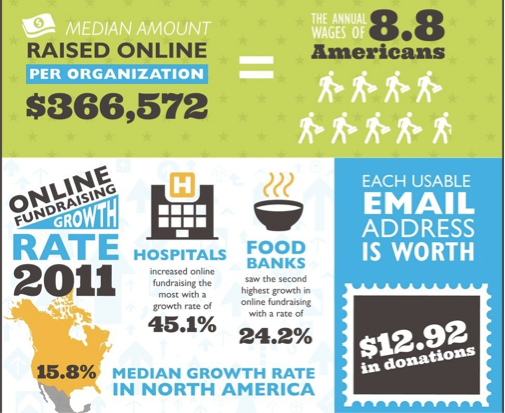 Coupled with a depressing economy, it has led to a significant drop in donations for non-profit organizations. One of the best ways to prove your worth as an NPO in the eyes of donors is to embrace transparency where it matters – your organizational expenditure. By disclosing your budget that focuses on minimizing administrative costs without taking a huge bite out of the money donated for the people in need, you can win over their confidence and donations easily. Thanks to Self hosted cloud solutions, you can store and track donation history, update contact info, share sensitive government permission documents, manage legal papers, and even support online donation options. The cloud also allows for reduced staff, as cloud service providers can help small teams with technical support and implementation. Take the International Rescue Committee, for example. It is an organization that deals with alleviating some of the world’s worst humanitarian crises. To address their fast-paced operational requirements, they needed a highly responsive emergency portal that could be easily and accessed from mobile devices, online or offline. The remarkable transformation of the IT capabilities of the National Surgical Adjuvant Breast and Bowel Project (NSABP) is another fine example that showcased the potential of private cloud solutions in the NPO sector. NSABP’s senior technology manager revealed that the deployment of private cloud in their infrastructure has helped the organization virtualize 60% of their one-server/one-application servers and spin-up several others, thereby freeing up computing resources and reducing infrastructure costs. Constant local backups and their streaming to a designated remote disaster recovery center. Unhindered monitoring and management of system operations and user activities. Right apps and admin tools to allow secured access from mobile devices (BYOD). Proactive monitoring of application performance. 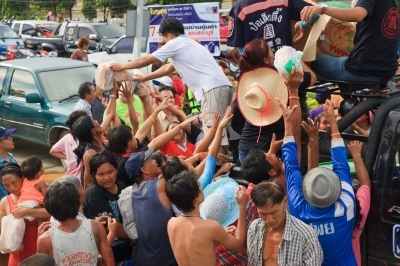 Here is a case study on how FileCloud helped Salvation Army , an international movement dedicated to serving the poor, destitute, distressed, and hungry by meeting both their physical and spiritual needs. With over 110,000 employees, it has a presence in more than 100 countries, the largest of which is the United States where it has a presence in 5,000 communities.